I started with a Night of Navy card base and then a layer of Whisper White and Bermuda Bay. 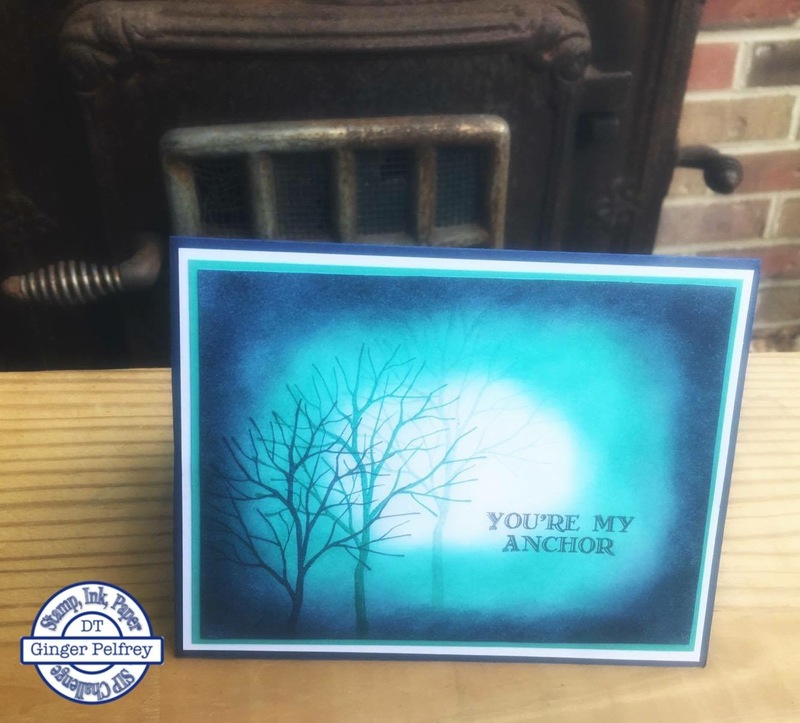 Next I took another piece of Whisper White and using the tree stamp from the set Bramch Out (2009) stamped it first in Soft Sky and then Bermuda Bay and lastly in Night of Navy. Now I started the sponging in the center with Soft Sky and coming further out with Bermuda Bay and the outer layer in Night of Navy. To finish I stamped the sentiment in Stazon black from the set Guy Greetings. Thank you so much for stopping by and I hope you enjoyed my card this week. 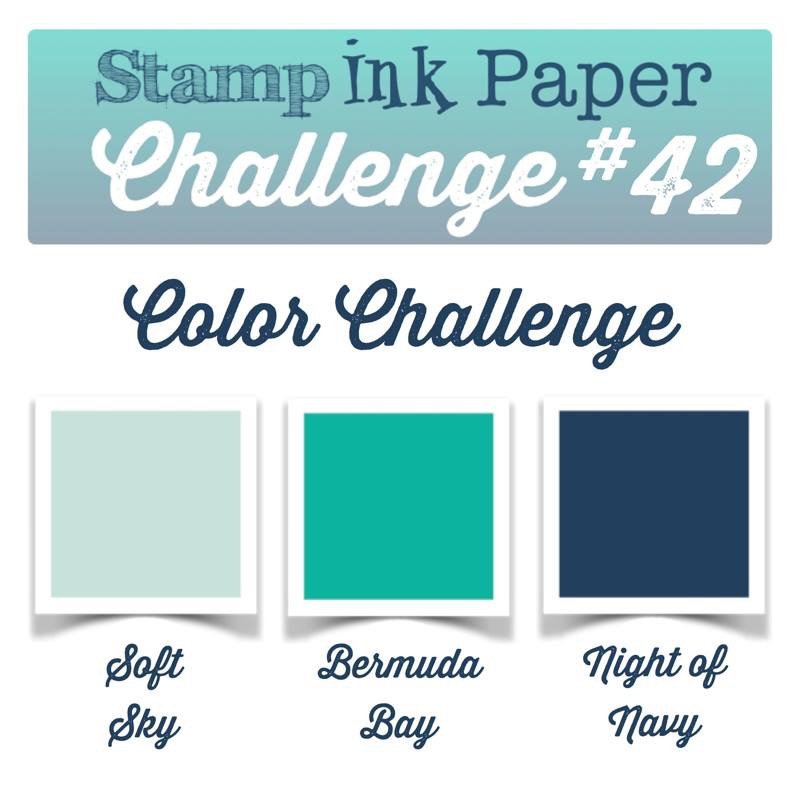 Categories: Stamp Ink Paper, Uncategorized | Tags: Bermuda Bay, Branch Out, Guy Greetings, Ink Sponging, Night of Navy, RRCB35, Soft Sky, Stamp Ink Paper, stampin Up | Permalink. This card just glows! Love the color combination and the repeat with the cardstock. Thank you for sharing this with Retro Rubber. Hope to see you often in our gallery! Hi Ginger! This is quite a lovely card and I really like how you explained what you did! Makes me think I can do it! LOL! Excellent choice of the colors for your SIP challenge! Thank you for joining us at Retro Rubber! !